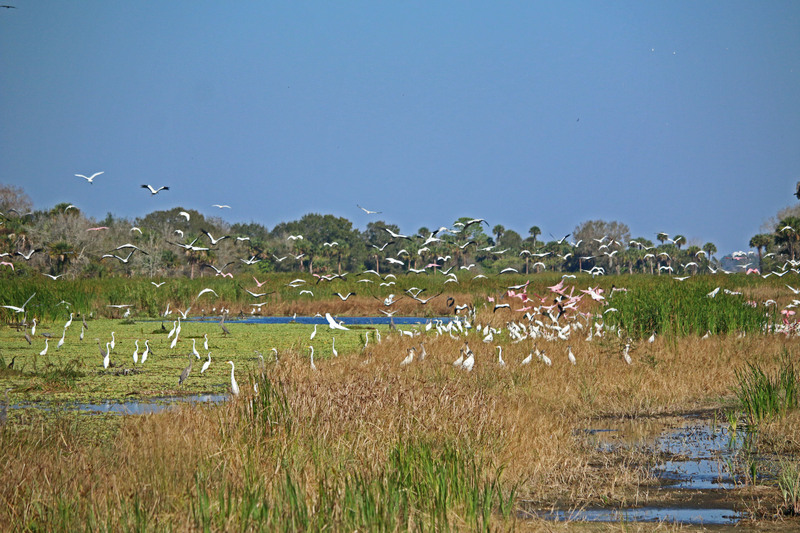 During a field trip last week, my classmates and I headed into Picayune Strand to witness first-hand the restoration efforts that are meant to impact the Everglades as a whole. While it’s true I took note of the filled canals and naturalized roads, I was more than a little distracted by the birds that surrounded us. There were thousands. 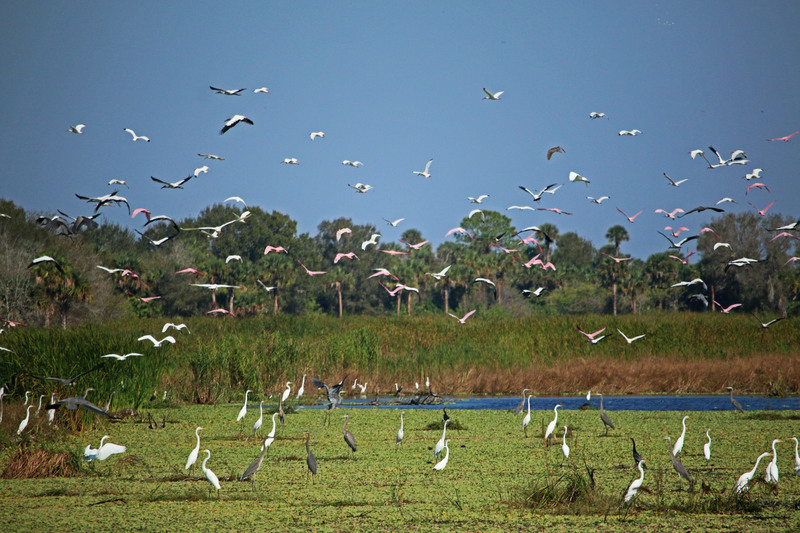 Egrets and herons and ibises and storks and bitterns and Anhingas and, my favorite, Roseate Spoonbills. When one particular flock took to the air the blue of the sky was blocked by white, blue, and pink wings. If I close my eyes I picture the levitating feathers, and my memory is full of pure, avian magic.